Already serving a life prison term, he got another one. 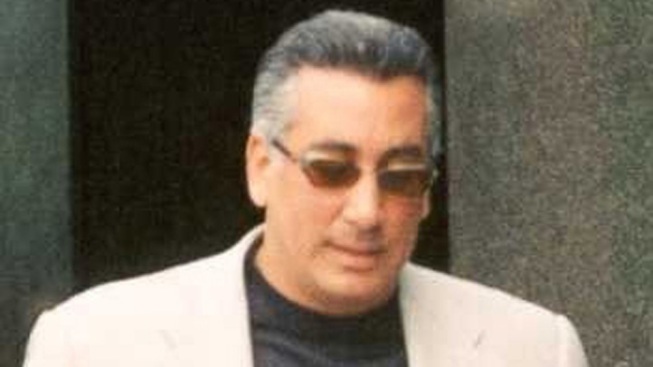 Vincent "Vinny Gorgeous" Basciano was found guilty on all counts. A combative, fashion-conscious mobster already serving a life prison term dodged a death sentence on Wednesday for ordering a gangland hit while taking control of a once-fearsome crime family. An anonymous jury deliberated less than two hours in federal court in Brooklyn before reaching the decision in the penalty phase at the trial of Vincent "Vinny Gorgeous" Basciano. The jury, which gave him a life sentence, had found the former acting boss of the Bonanno crime family guilty last month of murder, racketeering, conspiracy and other charges. Basciano, 51, cracked a slight smile and nodded at the jurors as they exited the courtroom. Prosecutors used the unprecedented testimony of former Bonanno boss Joseph Massino to try to portray Basciano as a stone-cold killer who deserved death. Massino — the highest-ranking member of the city's five Italian organized crime families to ever take the witness stand for the government — recounted a conversation about the possibility of knocking off an assistant U.S. attorney while the prosecutor dined at his favorite Manhattan eatery to avenge an onslaught of criminal cases brought against the family leadership. "Let me kill this guy when he comes out of the restaurant," Basciano said, according to Massino, who by mob rules had to sign off on the killing. The prosecutor, Greg Andres, had "pretty much destroyed the Bonanno family," Massino testified. The government also sought to convince jurors that life behind bars wouldn't prevent Basciano from trying to use visitors to sneak orders to his underworld crew — a tactic he'd used in the past. "Even with a life sentence, he will not be stopped," Assistant U.S. Attorney Nicole Argentieri said in closing arguments. "His mind will always be in the street. ... The defendant has earned the ultimate punishment." Defense attorney Richard Jasper argued the former owner of the Hello Gorgeous hair salon would pose no threat if imprisoned with other notorious gangsters and terrorists in the fortress-like lockup in Florence, Colo., "the biggest, baddest house in the federal system," where "everybody is in lockdown." He urged jurors to follow their consciences and "suspend the work of death until Vincent Basciano dies in a federal prison by himself — in God's time, not man's." Throughout the capital case, Basciano was a colorful presence in the courtroom. He had won U.S. District Judge Nicholas Garaufis' approval to wear a wardrobe of five different suits — one for each day of the week — and always kept his full hair of gray hair carefully coiffed. He also gave regular pointers to his lawyers and even sparred with the judge at length over whether he could introduce new evidence while testifying on his own behalf. "I can't properly defend myself," he complained in one rant before deciding not to take the stand. Last year, the judge asked the Department of Justice to reconsider bringing a death penalty case — which at the time had already cost taxpayers more than $3 million — against a defendant who was already serving life without parole for a 2007 conviction. But prosecutors decided to press ahead anyway and showcase the straight-talking Massino at the guilt and penalty phases of the trial. Massino, 68, broke his family's sacred vow of silence and began talking with investigators after his 2004 conviction for orchestrating a quarter-century's worth of murder, racketeering and other crimes as he rose through the ranks of the Bonannos. The bloodshed included the shotgun slayings of three rival captains and the execution of a mobster who vouched for FBI undercover agent Donnie Brasco in the 1980s. Brasco's story became a movie starring Johnny Depp and Al Pacino. While imprisoned together in 2005, the former Bonanno boss agreed to wear a wire and betray Basciano by recording their jailhouse banter. Jurors heard one recording of Basciano boasting, "I'm a hoodlum. I'm a tough guy. Whatever happens happens. Let's go." In another, a wistful Massino mused about the demise of the family. "We was OK until I got pinched," he said. "We was on top of the world."